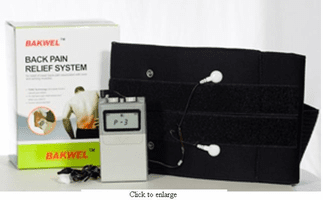 The Bakwel™ is an Over the Counter (OTC) TENS unit. There is no prescription required! This device comes with a professional back brace with integrated electrodes in a profession retail package. * To order, call 936-321-5868.